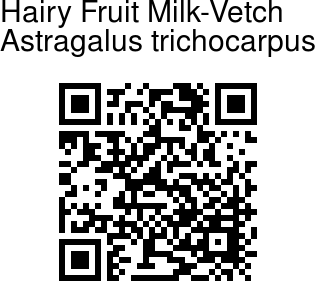 Hairy Fruit Milk-Vetch is an erect plant, several feet tall, velvety. Leaves are compound, about 5-11 cm long, with 21-41 leaflets. Leaflets are tiny, 3-10 mm long, oblong, blunt, velvety, hairs minute, silvery. Flowers are borne in 5-20 cm long stalked racemes. Bracts are linear, minute. Flower-stalk is short, velvety, hairs black and white. Sepal tube is about 2.5-4.0 mm long, hairless, teeth deltoid. Standard petal is 9-13 mm long. Wing is shorter than keel. Fruit is about 1.9-2.2 cm long, bilocular, 4-6 seeded, stipe longer than calyx. 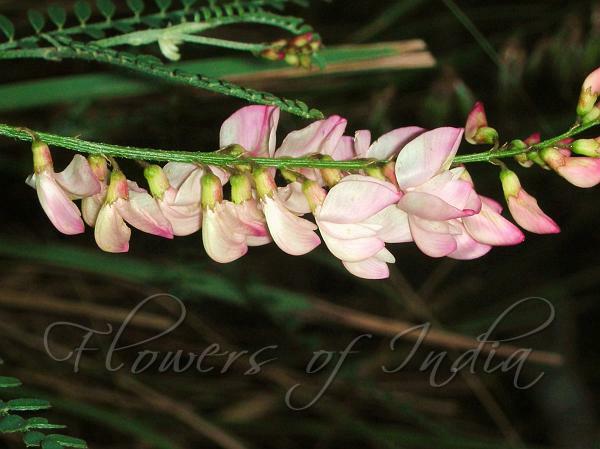 Hairy Fruit Milk-Vetch is found in the Himalayas, N. Punjab, Himachal Pradesh and Uttarakhand. Flowering: April-June.